The Electro-Harmonix 6V6 is warm sounding, with a sweet sustain and crunchy overdrive, making it a very musical tube. Latest version with support rods to reduce microphonics. The Electro-Harmonix is OEM in most current guitar amplifiers. It can take up 475 volts, so you can push it. 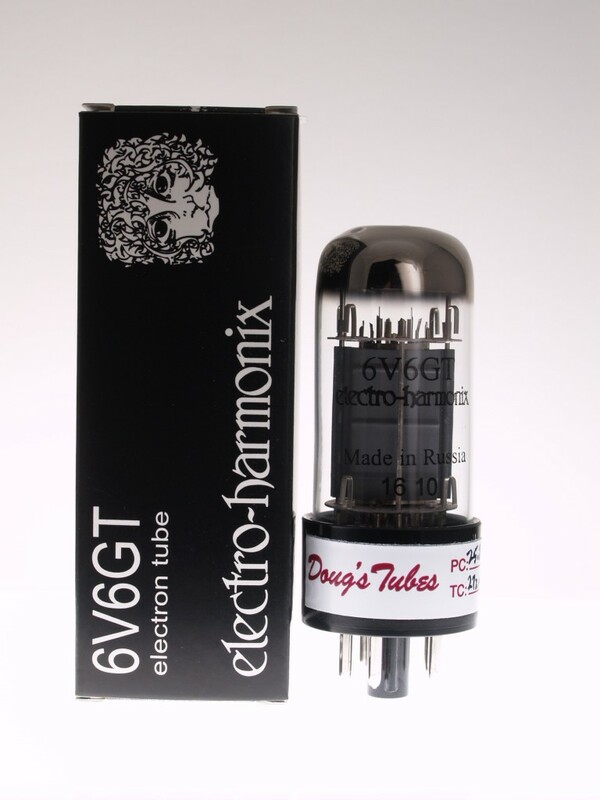 Also known as the Groove Tubes 6V6-R.